Met mijn steun van gisteren heeft het vast weinig te maken, maar later die dag kwam wel ineens het bericht naar buiten dat Georgia Archives níet zijn deuren zal hoeven sluiten. Nearly 100 supporters of the Georgia Archives got an unexpected surprise Wednesday morning at the state capitol, when Gov. 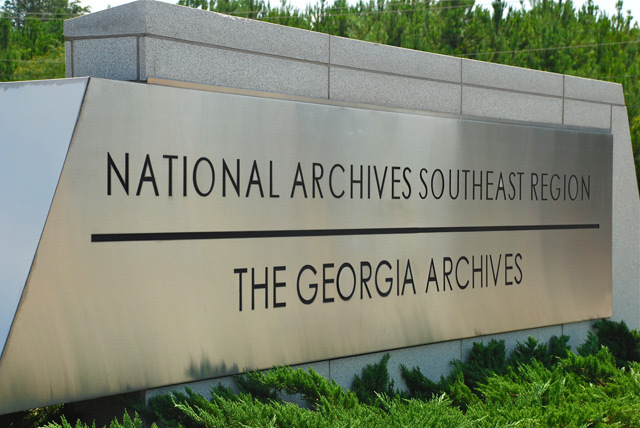 Nathan Deal announced the Morrow-based archives would not close to the public as previously announced. Deal made the announcement while he issued his annual Georgia Archives Month proclamation. During a photo opportunity with the archivists, they handed the governor a petition with more than 10,000 signatures in support of the archives, as well as thousands of letters and e-mails from people urging the state the keep the facility open to the public. That prompted Deal to say the archives would not close to the public, but he did not elaborate on how that fate would be avoided. 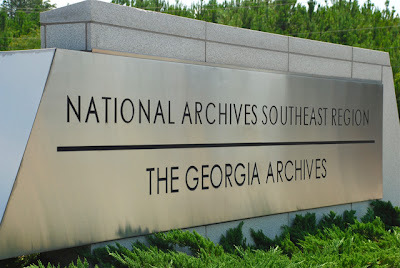 "We're still working on our budget proposals right now, but the archives will stay open," said Deal, to the cheers of dozens of archivists and other archives supporters. Heel veel onduidelijkheid dus nog. Maar dit bericht geeft de burger (en de archivaris) toch goede moed. En dan lees je zo'n bericht, en dan weet je: dit is Amerika!